Robert Downy Jr. brilliantly brings yet another character back to life. This time, his role isn't based on non-fiction. 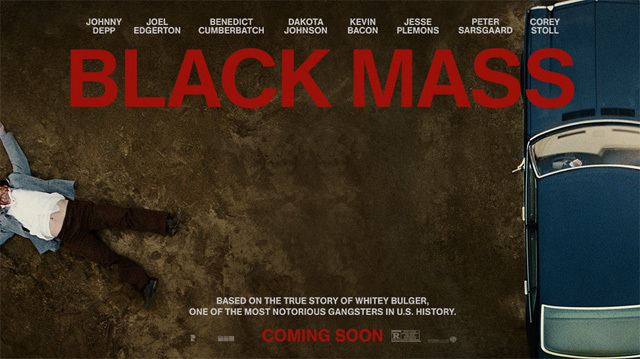 This exchange between James “Whitey” Bulger (Johnny Depp) and a kind, old Irish-accented woman happens early on in “Black Mass, “ the latest film from Depp’s ever-growing filmography. Based on a true story, Bulger is the criminal who ran Boston’s underground crime scheme for the better part of one and a half decades. He was listed as the FBI’s second most-wanted during the 1970s, preceded only by Osama Bin Laden. The film focuses on the point in Bulger’s career when he informed on his gang for the FBI through his childhood friend John Connolly (Joel Edgerton) — an FBI agent. It opens with Kevin Weeks (Jesse Plemons) giving his testimony against Bulger and continues on to explain how Weeks became one of Bulger’s lieutenants by beating one of Bulger’s supposed betrayers, leaving him for dead. The film takes off from there. Bulger is one of the most vulgar and resilient criminals that the FBI had ever encountered. In their attempts to have him on their side fighting crime, they only fuel him to work the system and build the Italian mob up. One of the few problems in this film is the unsure focus of the screenplay. While the film recounts many events from Bulger’s career, it doesn’t seem to settle on one main event. Some of the events touched on are Bulger’s involement in World Jai Alai, a sports fad in the 1980s and the death of his young son and mother. Depp does another great job taking on the complete role of his character, as he embodies all that Bulger was in his 1970s prime. Despite Depp conveying a myriad of emotions throughout, the film doesn’t take the time necessary at any one stop for it to affect the viewer. The film begins with Bulger having already raised himself to a formidable character in the Boston underworld, and ends before his capture, having been a fugitive for over a decade. Bulger’s storied career appears to only last a decade in this film’s telling, while in actuality, it began in 1943, and ended about half a century later in 1994. A better story-telling technique for the film, rather than the interrogation method used, would have to focus on the dinner conversations that Weeks and Bulger shared throughout his years on the run. The film primarily focuses on Bulger, viewing him from any set of eyes but his own. If Bulger is Julius Caesar, then Connoly is Brutus. In this incarnation, Brutus is the one betrayed, while Caesar slips off into self-imposed anonymity. The deciding factor that leaves this movie at just good is the narrator. Weeks is introduced as the narrator at the beginning of the film, only to take a backseat nearly 20 minutes into the two-hour runtime. When I saw Weeks, I expected to sympathize with him, but he quieted down soon after the opening credits. This film will definitely not dethrone “Goodfellas,” but it does give other crime movies a run for their money. Joseph Walls is a freshman film production major. This review reflects the views of the writer only.